Buns Out! 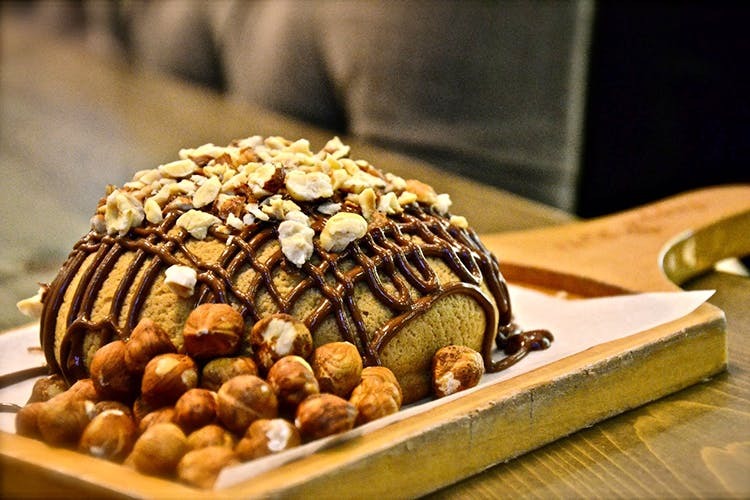 Papparoti Has Opened In Chennai And We Can't Keep Calm! Love buns, hon? Then it can’t get any better than this, can it? Finally Chennaites can tuck into the world-famous “Father of all buns” at its newest outlet in Palladium mall. With over 400 outlets across the globe, Papparoti is famous for freshly-baked coffee-coated buns served with a special secret ingredient. The buns are crispy on the outside with a gooey butter-filled centre; expect flavours like Lotus Biscuit, Nutella, Hazelnut, Toffee and more! They even have all-day brekkie options and savoury buns with cheese that you can wash down with their range of beverages like Pappa Milk Tea and your regular frappes and slushes. We can’t wait to hog on these bun-derful treats, so watch this space for more! Find them on FB here.